Not long after buying the villa, I was up by the local church trying to get enough cellphone reception – it’s either that, or hang out the window at an alarming angle – to call our contractor. When I got through I identified myself as ‘Shelagh, the Canadian who owns the Torre’. Shelagh is a name Italians don’t remember easily, since there’s nothing like it in their language. But the crazy Canadians who had inexplicably bought a ruin in Scurtabo were unforgettable, so in the early days I always introduced myself that way. The church’s priest happened to be outside at that moment and overheard me. When I was finished my conversation, he approached and introduced himself. 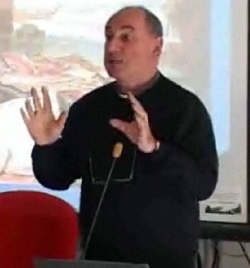 Priests are good at knowing what’s going on in their parishes, so he already knew who I was. 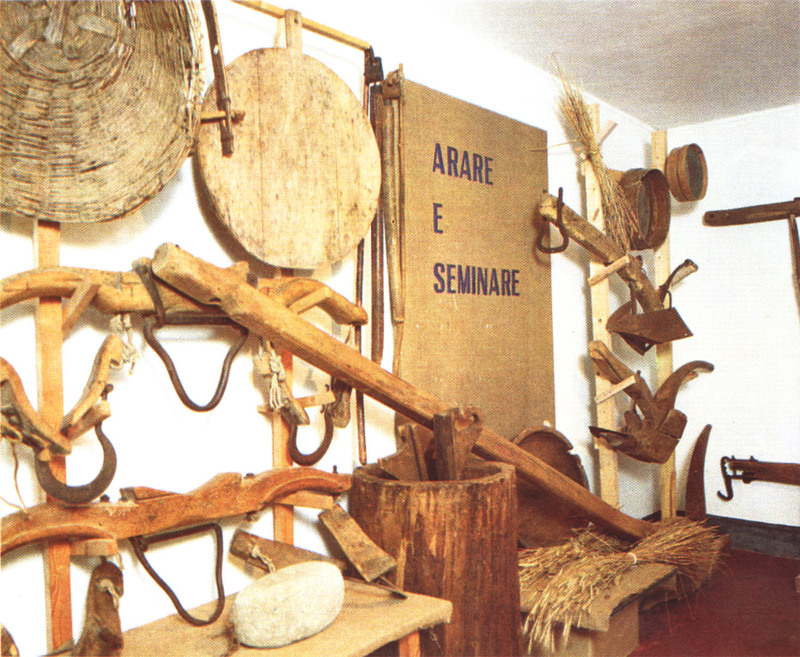 Don Sandro Lagomarsini, it turns out, keeps a museum of local farming and settlement history just up the road in Cassego and is a top notch historian. The museum provides a rare glimpse into a side of Italy that’s not often shown off. A far cry from the fabulous treasures of the Uffizi or Vatican, it’s a touching memoir of the unbelievable effort involved in scratching a living out of the challenging hills of Varese – without power tools. Don Sandro had some interesting facts about our house: the original structure, remnants of which remain, was built as a lookout tower in 1362 – hence the house’s name through the ages of ‘torre’. It was one of three such towers built on either side of the valley by the ruling Fieschi clan in order to keep out the marauding armies of rival families. So the view we find so tranquil was once used for popping off enemies who were trying to creep their way up the valley. We like the idea. Now we don’t just own a pile of rubble, we own a piece of history. And that makes it even more interesting. Interesting how your facebook site appeared on the sidewall of facebook, so I clicked onto it. Where did you and your family before moving to Milan? It is quite an adventure, this villa of yours, Is the title Godzillavilla something you made up? 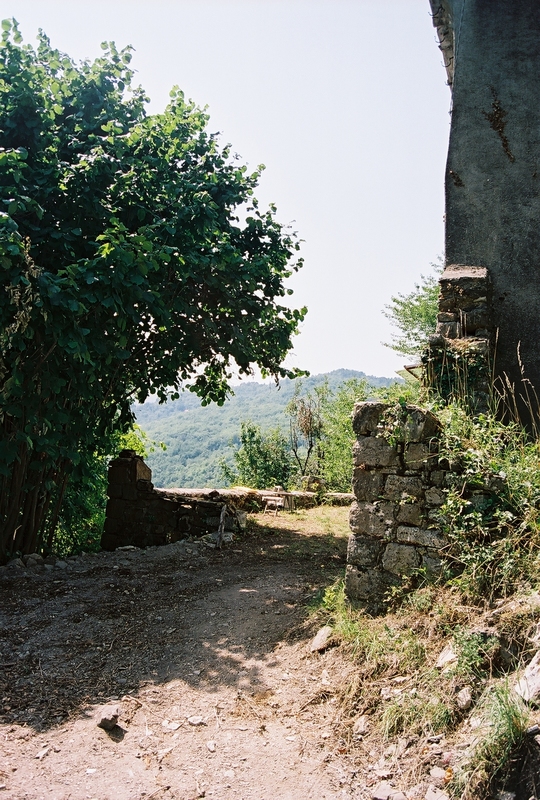 I did see various abandoned stone houses while hiking the Cinque Terre area.. looks alot like it. We’re from Toronto, Canada and are back in Toronto after living in Milan for 7 years, so the villa is a long-distance labour of love. The name Godzillavilla was suggested by a friend and I loved the idea; it’s a monster of a project! The locals call the house La Torre, because that’s how it started out. Only marauders currently are the squirrels who still believe they own the place! Until such time as we have windows and doors they will continue to consider Godzillavilla theirs. Perhaps you need to keep some vats of boiling oil nearby in case of marauders.